The “switching on” or expression of specific genes in the human genome is what makes each human tissue and each human being unique. A new study by researchers at the Johns Hopkins Bloomberg School of Public Health, the Lieber Institute for Brain Development, the National Institute of Mental Health, and collaborating institutions has found that many gene expression changes that occur during fetal development are reversed immediately after birth. Reversals of fetal expression changes are also seen again much later in life during normal aging of the brain. Additionally, the team observed the reversal of fetal expression changes in Alzheimer’s disease findings reported in other studies. The research team also found that gene expression change is fastest in human brain tissue during fetal development, slows down through childhood and adolescence, stabilizes in adulthood, and then speeds up again after age 50, with distinct redirection of expression changes prior to birth and in early adulthood. The team’s findings were published in the October 27, 2011 issue of Nature. All of the data is available to the public as a web-based resource at: www.libd.org/braincloud. Using a number of genomic analysis technologies, the research team conducted genome-wide genetic (DNA) and gene expression (RNA) analyses of brain tissue samples from the prefrontal cortex. Tissue represented the various stages of the human lifespan. “We think that these coordinated changes in gene expression connecting fetal development with aging and neurodegeneration are central to how the genome constructs the human brain and how the brain ages,” said Dr. Carlo Colantuoni, one of the lead authors of the study and a former research associate with the Department of Biostatistics at the Johns Hopkins Bloomberg School of Public Health. Dr.
A new therapy being studied in non-human primates by researchers at Wake Forest Baptist Medical Center, and colleagues, is demonstrating promise as a potential tool for combating cardiovascular disease by increasing good cholesterol and lowering triglycerides in the blood. Supported by the National Institutes of Health and the Canadian Institutes of Health Research, the preclinical findings were published online on October 19, 2011 in Nature. "The study was conducted because there is a very strong inverse correlation between the amount of HDL (good cholesterol) and heart disease," said co-principal investigator Dr. Ryan Temel, an assistant professor of pathology and lipid sciences at Wake Forest Baptist. 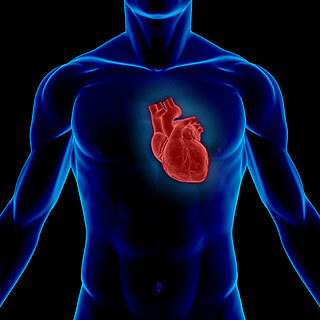 "The higher your level of HDL, the lower your risk of developing cardiovascular disease. Currently, however, there are few therapies that significantly raise HDL." While there are several effective therapies available on the market for lowering LDL, or bad cholesterol, modern medicine has yet to find a good way to raise HDL, Dr. Temel said. "Even if you take a statin or some other therapy to lower your LDL, the risk of having coronary heart disease is still around 50 percent. There's clearly a lot of room left for improvement." Dr. Temel and colleagues from the New York University (NYU) Langone Medical Center and Regulus Therapeutics Inc., a biopharmaceutical company, are studying a new drug that targets microRNA-33 (miR-33). MiR-33 is a small RNA molecule that reduces HDL and increases triglyceride production. In previous studies in mice, the drug has been effective in promoting atherosclerotic plaque regression and increasing HDL. For the current study, researchers tested the drug, anti-miR-33, in non-human primates and found that it increased HDL cholesterol and lowered triglycerides.